Gladiator's place in our cultural canon is almost entirely due to its violence: just thinking about the title conjures up images of severed limbs, overflowing viscera, and a beefy Russell Crowe asking a crowd whether or not that day's murders have amused them sufficiently. What's most interesting about this violence, however, is how little of it (relatively speaking) is actually shown. In a way it makes perfect sense that Ridley Scott's film ruled the first Oscar ceremony held in the 21st century. It is a very old-school drama in a throwback genre, clean and simple, and its lack of metatextual meddling makes it almost like cinematic comfort food. 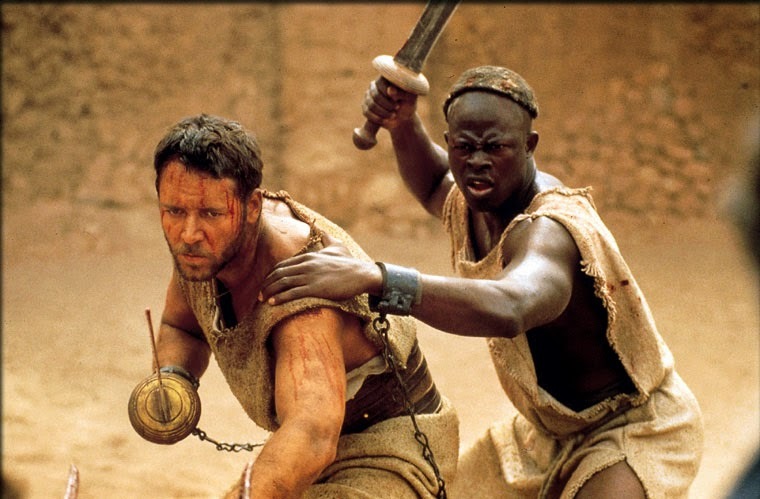 Aside from a few grisly moments, Gladiator is most disturbing in our imaginations. "The customer is always right. The. Customer. Is. Always. Right... ALWAYS." This is the philosophy advocated by antagonist Mr. Swackhammer, as he mugs for the camera, within the first few minutes of Space Jam. His evil plan will consist of exploiting both the Looney Tunes and basketball legend Michael Jordan to be made attractions for his intergalactic amusement park, Moron Mountain. 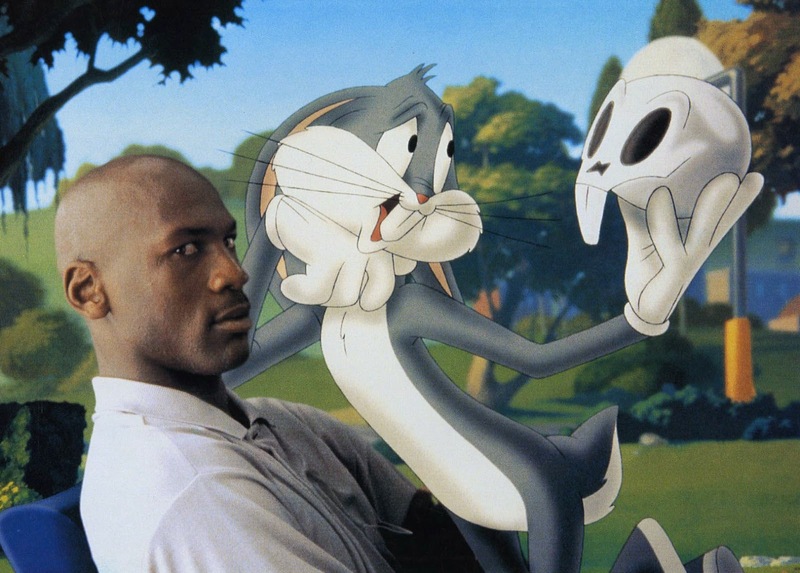 Are the filmmakers openly acknowledging the fact that Space Jam is ultimately an extended plug for Bugs Bunny, "His Airness," and its own merchandise? Were we the morons back in 1996? Daren Sprawls, creator of our infectious theme song, finally joins us on the podcast to answer that question, dissecting our conflicting feelings of alienation from such a blatant commercial maneuver and unabashed nostalgia for the very things the movie advertised, namely that stellar soundtrack. Speaking of which, Daren tops it all off by treating us to a slam-dunk cover of R. Kelly's classic hit, "I Believe I Can Fly."